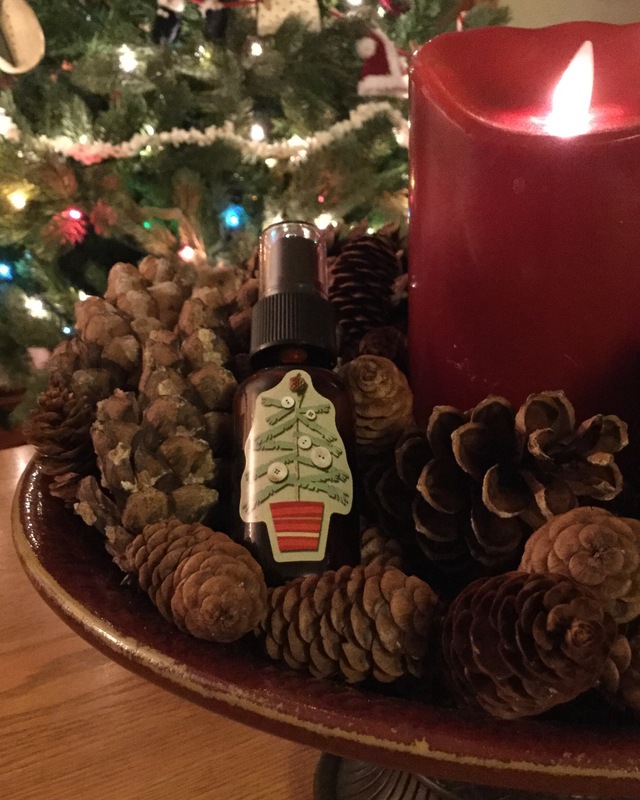 Spritz your Christmas tree, a centrepiece, bowl of pine cones, or the bathroom towels with an invigorating, balancing evergreen aroma during the holidays … or any time! Did you know that Young Living therapeutic grade Pine essential oil is antimicrobial, antibacterial, antiviral, and antiseptic, or that it may help to combat throat, lung, and sinus infection? Did you know that YLTG Black Spruce essential oil helps one to feel grounded and emotionally balanced? Did you know that YLTG Cedarwood (Cedrus atlantica) essential oil is closely related to the biblical Cedars of Lebanon, and that it is also anti-infectious, calming, and purifying? 🌲 FINISH FILLING with DISTILLED (boiled & cooled) WATER. Spritz regularly on pine cone centerpieces, Christmas trees, wreathes, bathroom towels, etc. Save 24% on the 100.00% pure YLTG (Young Living Therapeutic Grade) oils in this recipe and more, each with the promise of purity from Seed to Seal, connect with Young Living, World Leader in essential oils HERE and follow the prompts. We’re here to help and support as you continue to learn about the many benefits and everyday uses of these gifts of nature for health and home. References: Essential Oils Desk Reference, Sixth Edition. © 2014, Life Science Publishing. Experience The World of Essential Oils Version 2.0, Young Living Essential Oils.